More than our railway sleeper and timber offers, Railway Sleeper also specialises in timber protection and enhancement products. 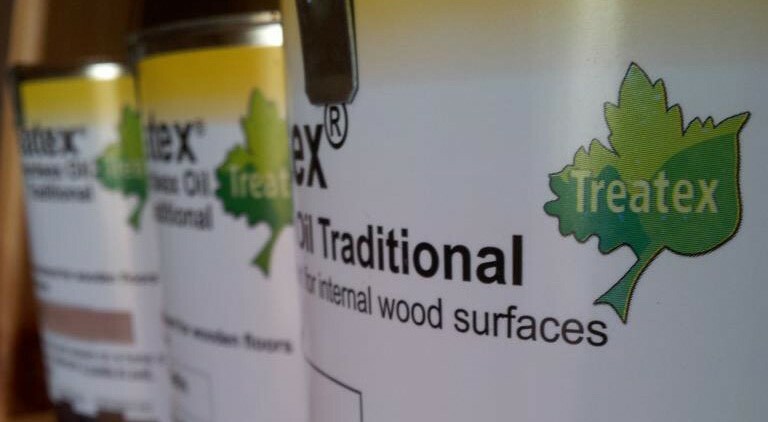 As a superior wood treatment product, Treatex Clear Hardwax Oil is made of natural sustainable materials such as beeswax, linseed oil, sunflower oil, carnauba wax and more. So, what’s so Special about Treatex Clear Hardwax Oil? Treatex Clear Hardwax Oil dries very quickly – making it easy to apply. Unlike paints, there is no need to wait ‘til the next day for it to dry into the wood. It only takes approximately 3-6 hours to dry after two coats! Made from naturally sustainable materials, this clear hard wax oil is moisture resistant and can withstand high temperatures. It can also combat substances such as wine, beer, coffee, tea and even carbonated drinks. Perfect for people with dust allergies, dirt and dust can be easily removed. Aside from being virtually odourless, it’s unique pollutant-free feature makes it hypoallergenic and totally safe to use. Assuring the best possible finish, Treatex Clear Hardwax Oil enhances the natural characteristics of wood; colour and graining will be intensified. It also helps to slow down the transfer of moisture from the wood to the atmosphere – ensuring that treated wood will stand the test of time. Purpose made for aesthetic and durability purposes, it can be used on floors, worktops, stairs, doors and furniture. What are the Variants of Treatexs Clear Hardwax Oil? The oil is available in a choice of clear matt, clear satin and clear gloss/clear natural - clear gloss/clear natural variants are specially made for light coloured timbers. How is Treatex Clear Hardwax Oil applied? Apply Treatex Clear Hardwax Oil with a brush - go around the edges, following the grain of wood. Next, take a roller and apply the oil in sections, working towards the door. For timber flooring, it is important to follow the direction of the wood to ensure there are no lines where the roller starts or stops. In this case, only two coats are recommended, as thicker hard wax oil can be prone to scratching. What are you waiting for? Knock ‘um dead with your Treatex Clear Hardwax Oil preserved woodwork… it will look great on your cheap railway sleepers’ projects. Please call 01536 267107 with your enquiries.